Technical experts spend their lives in specific areas of filmmaking. 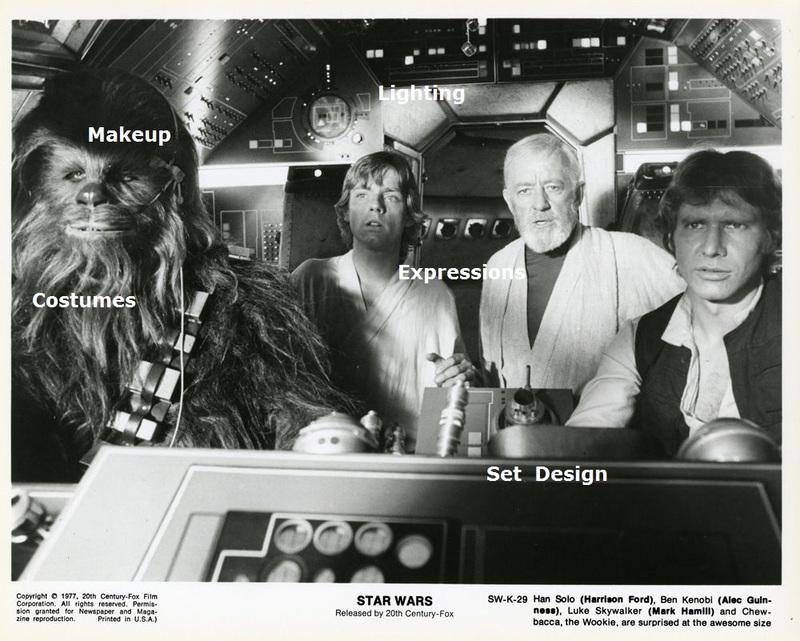 Using a Star Wars publicity still, below, I labeled various techniques to make it easier to point these out to students. The Academy of Motion Picture Arts & Sciences has also created an excellent series of free teacher guides. 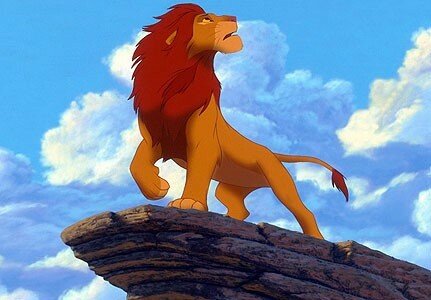 When we are first introduced to Simba, (below left) the lion cub, in Disney’s original The Lion King (1994), he is portrayed from above, as if the viewer were looking down at him. One rule of cinematography and photography says that this camera positioning makes characters seem weak and powerless. 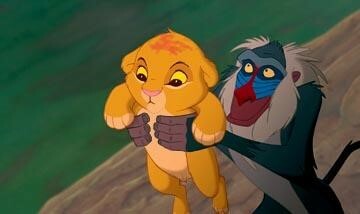 Conversely, when a character is viewed from below, as when Simba is an adult, (below right) the filmmakers communicate strength and power. 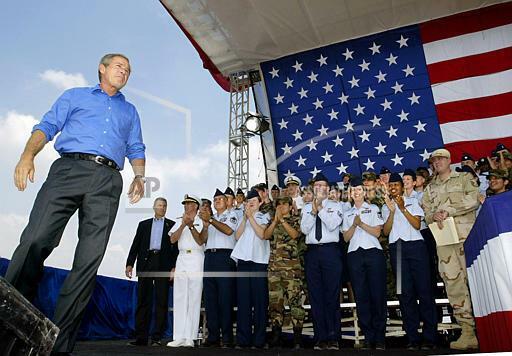 Take the example of a 2003 photograph, shot from below, of President George W. Bush standing on a stage at a Dayton, OH, Air Force base, where he delivered a major speech on the war in Iraq. Educators can explore the photographic effect with students by asking: Where was the photographer positioned? How does the camera angle make the president look? And: What might President Bush’s expression mean or convey? What symbols are visible, and why do you think the photographer included them? What kind of reception is the president receiving, and what are the clues? Ask students to search online for photos from the same event showing the president from different angles.